MAY 24, 2018 — Two major offshore wind farm projects off Massachusetts and Rhode Island are moving forward after selection in a clean energy procurement process conducted by the Commonwealth of Massachusetts in which Rhode Island participated. The projects are Vineyard Wind’s proposed 800 megawatt (MW) offshore wind farm located 15 miles south of Martha’s Vineyard and Deepwater Wind’s 400-megawatt Revolution Wind project, 30 miles from the mainland and about 12 miles south of Martha’s Vineyard. Vineyard Wind is the winner of the Massachusetts tender for offshore wind energy projects. This means that the Massachusetts Electric Distribution Companies (EDCs) will now start negotiating contracts including a power purchase agreement (PPA) with Vineyard Wind. 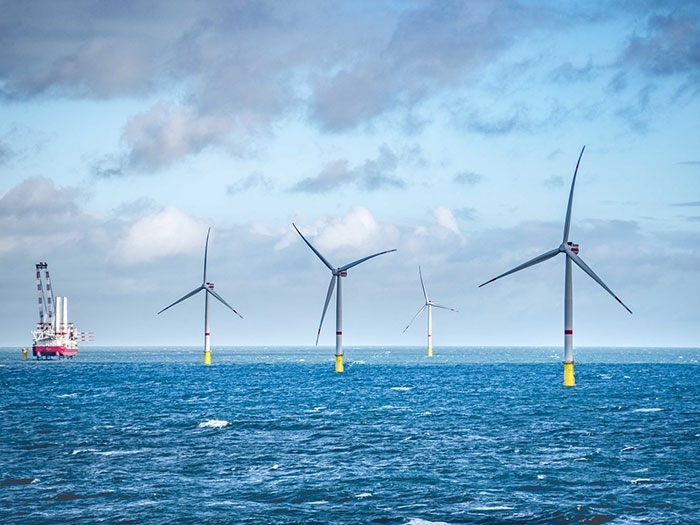 Vineyard Wind is jointly owned by funds managed by the Copenhagen Infrastructure Partners (50%) and Avangrid/Iberdrola (50%) and seeks to build the first large-scale offshore wind farm in the United States, starting operations by late 2021. Vineyard Wind says that its proposal committed $15 million to three initiatives designed to make Massachusetts the center of the American offshore wind industry. The commitment includes a $10 million Wind Accelerator Fund to accelerate the development of an offshore wind supply chain, businesses, and infrastructure in the Bay State. Governor Gina Raimondo announced yesterday that Rhode Island has selected Deepwater Wind, the Rhode Island-based clean energy developer, to construct a new, 400-megawatt offshore wind farm. The Revolution Wind project–more than ten times the size of the Block Island Wind Farm–was selected through a competitive offshore wind procurement process in collaboration with Massachusetts. Deepwater Wind’s Revolution Wind project was selected through Rhode Island’s participation in a clean energy procurement process conducted by the Commonwealth of Massachusetts. Rhode Island state agencies, including the Office of Energy Resources and the Division of Public Utilities and Carriers, independently evaluated the proposals. In March 2017, Governor Raimondo set a goal for Rhode Island to increase its clean energy resources portfolio ten-fold by 2020 to reach a total of 1,000 megawatts. Today’s announcement represents a significant step toward achieving that goal.